It’s Thursday evening in mid-September, which means the second rehearsal for the Academy of St Olave’s Triple 150th Anniversary concert has just come to a close. Tonight we have thoroughly cracked the third and last movement of Sibelius’s Fifth Symphony, which will be preceded by Glazunov’s Rêverie Orientale and Nielsen’s First Symphony in our concert on Saturday 19th September. 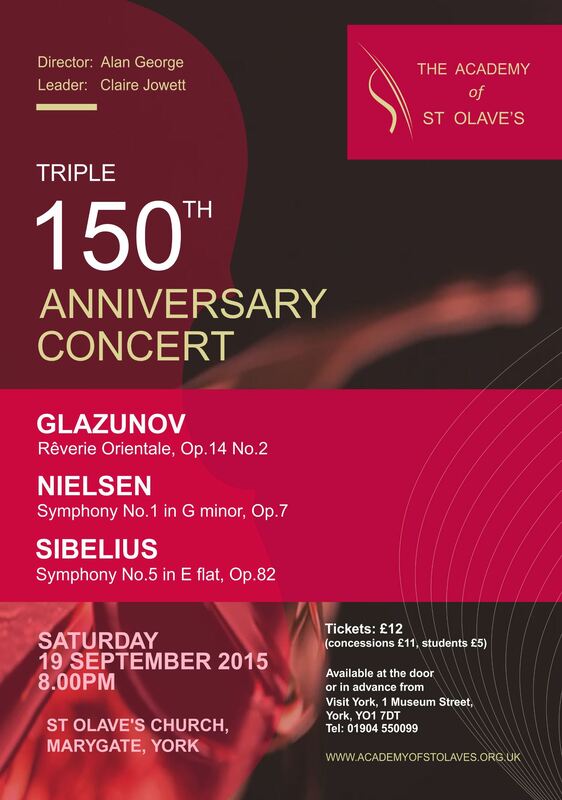 These three composers all have one particular thing in common: they were all born in the year 1865. Therefore, it was only fitting that ASO honoured their joint 150th anniversary with a programme employing some of the largest orchestral forces ever for this ‘chamber’ orchestra. After the rehearsal, my parents and I discuss the rehearsal over much needed drinks and crisps. For not only am I a rank and file first violinist in the orchestra, but I’m also the son of conductor Alan George and principal clarinettist Lesley Schatzberger, which makes every block of ASO playing rather a family affair! So while many other players may just turn up to the rehearsals and concert and put in a bit of private practice at home, ASO can often, for me, be quite dominant in home life in the weeks leading up to a concert. We got through the finale of the Sibelius! The orchestra begins packing up after our second rehearsal. When the rehearsal period is starting, Mum and I will be asked on a regular basis whether we have done any practice for ASO. The answer is usually ‘no’ until the hour before the first rehearsal, when the house will be filled with an awful combination of the clarinet part of one orchestral piece and the violin part of another. It’s alright, though, because Dad’s super loud record will probably drown us both out. Then, once the rehearsal period has begun, the conversation at dinner times will often involve one or both of Mum and me complaining at Dad about how he conducted a certain passage in the symphony, and him doing his best to protest. Poor Dad. 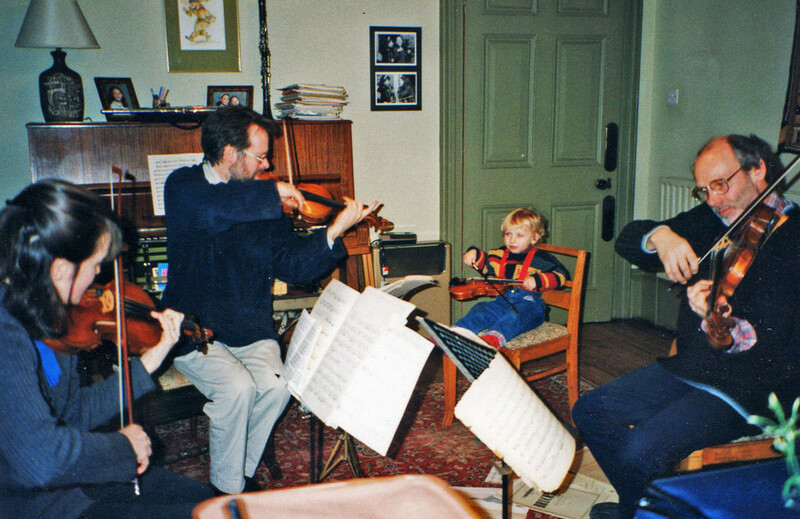 All this aside, it is certainly a privilege and a pleasure to be able to play with my parents, although I suppose I rather take it for granted now that I’ve been doing it for so long – at least with Dad – the above photo of me playing with the Fitzwilliam String Quartet at the age of about 3 is proof! Yes, I really was playing Shostakovich’s 10th Quartet note perfect…… One of the first pieces I played with both of my parents was in fact the opener of the upcoming ASO concert, Glazunov’s Rêverie Orientale, in its original chamber version. Quite a few people in York’s classical music circles will have heard of my other sister, Jessica. I never met Jessie, as she sadly died of a brain tumour in the year before I was born. My parents started the charity Jessie’s Fund with money originally raised in order to send Jessie to America for specialist treatment. 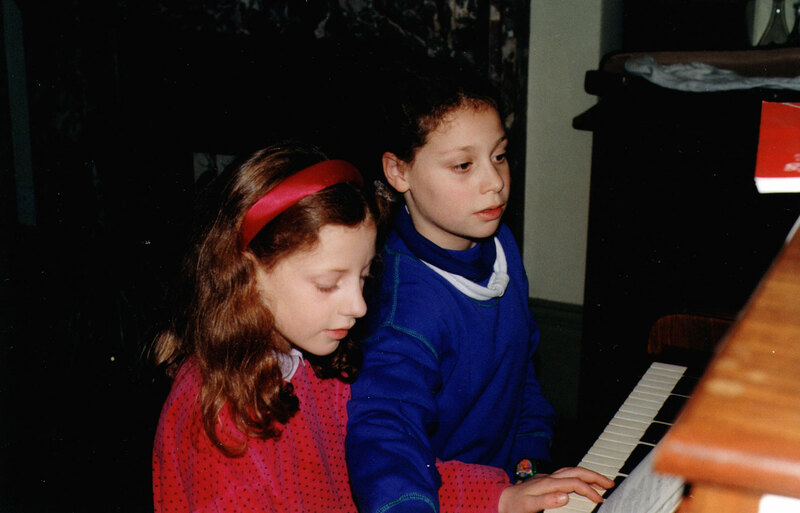 Now in its 20th Anniversary year, Jessie’s Fund helps children with complex needs to communicate through music in special schools and children’s hospices. 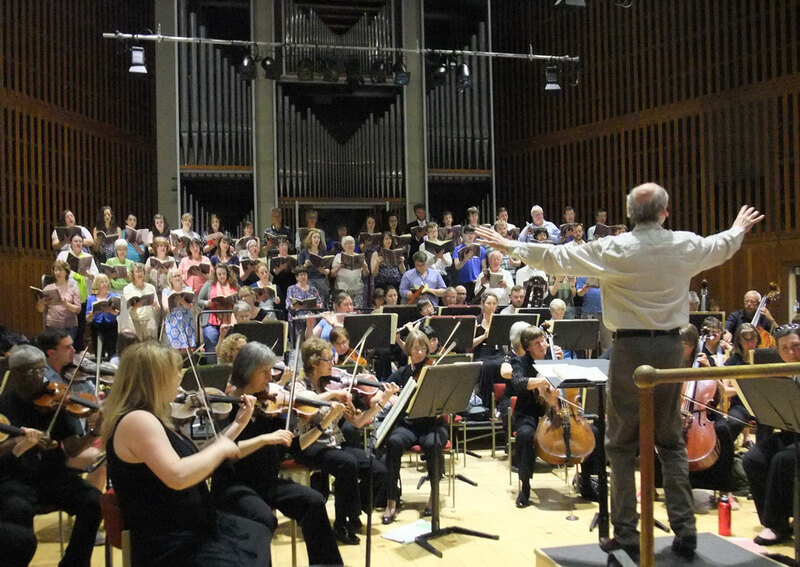 Jessie’s Fund is extremely grateful to ASO for supporting us in previous concerts, most recently in June 2015, when songs by David Blake based on Jessie’s poems were performed alongside Beethoven 9 in the Sir Jack Lyons Concert Hall in the University of York. The concert was a great success, with orchestra and audience alike finding it both poignant and exciting. 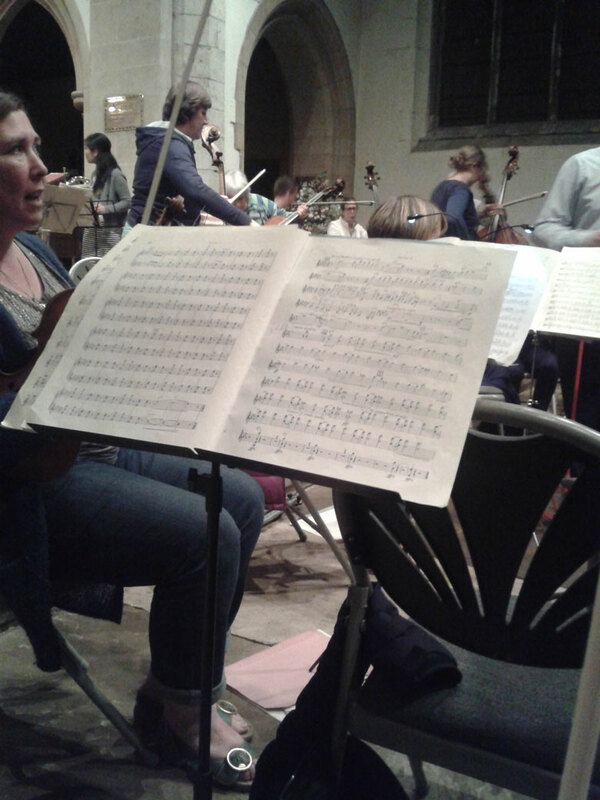 Also marking Jessie’s Fund’s 20th Anniversary is York Guildhall Orchestra, which shares many members with ASO. 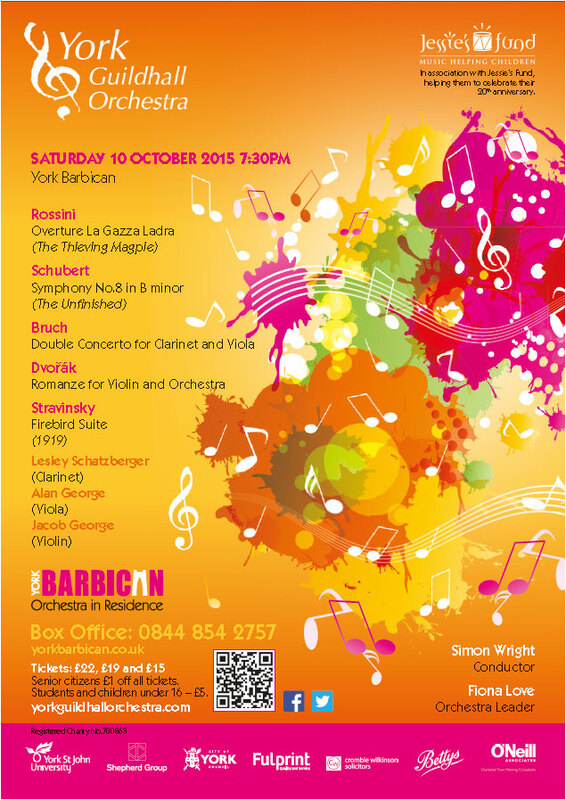 Mum, Dad and I are all honoured to be appearing as soloists in their concert in the Barbican on Saturday 10th October, which will also feature Schubert’s Unfinished Symphony and Stravinsky’s Firebird Suite. Tickets are available from the York Barbican box office. I think I can get away with a little plug here, as the more bums on seats, the more money Jessie’s Fund will make!